The flagship model in the Laurent Ferrier collection, the Galet Classic reveals a more contemporary and sophisticated face in an interpretation representing an authentic renewal for this double-hairspring tourbillon that is already much admired by devotees of traditional fine watchmaking. Its new slate-grey dial is lit up by 11 applied red gold Roman numerals, while the “assegai-shaped” hour and minute hands and baton-type seconds hands are also made of red gold. A hollowed seconds counter appears at 6 o’clock, and the matching dial creates an aesthetically harmonious overall effect. 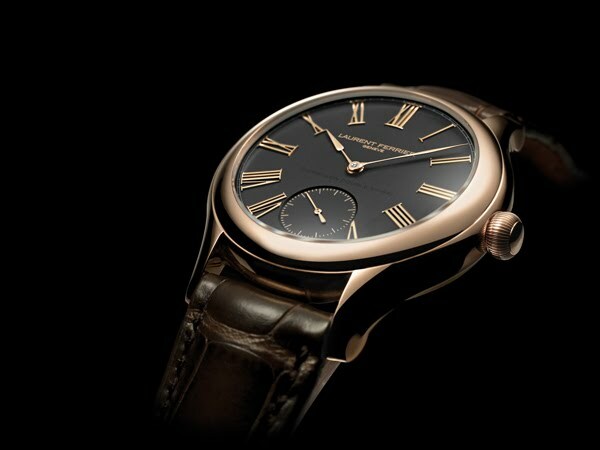 The Galet Classic is still driven by the exclusive in-house movement developed, assembled and adjusted by Laurent Ferrier and which forged his reputation as an exceptional watchmaker. This calibre features a tourbillon device based on the principle introduced by Abraham-Louis Breguet in 1801, and complemented for the first time by a double hairspring. The major advantage of this new construction is its ability to keep the balance centred on its axis, while compensating for the effects of gravity and thereby guaranteeing the extreme reliability of the rating system. Its avant-garde technical construction inspired by expertise dating back over two centuries ensures its exceptional precision. The Galet Classic is an authentic timing instrument that is chronometer certified by the Besançon Observatory. Its high amplitude combined with manual adjustment of the escapement result in exceptional rating precision of the Tourbillon Double Spiral calibre that boasts a daily variation in rate of less than three seconds! Inspired by the major 19th century chronometry models, the hand-wound system does without the modern setting-lever spring, which is replaced by a “long-blade” type ratchet pawl with a smooth round-polished finish. 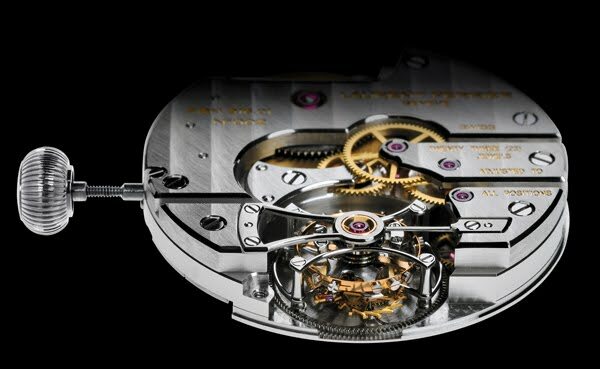 The manual finishing of this calibre is truly exceptional, as confirmed by the many interior angles and the various smooth round-polished operations. The bridge of the tourbillon carriage is decorated in the finest watchmaking traditions, and the exquisite finesse of this craftsmanship is revealed only through the sapphire caseback, thereby confirming Laurent Ferrier’s preference for subtlety and discretion. Testifying to expertise dating back more than two centuries, the Galet Classic Tourbillon Double Spiral is nonetheless both precise and sturdy, and has been thoughtfully designed right down to the smallest details in accordance with modern knowledge in order to find its way smoothly through successive eras and generations.